Luxury holiday villas in Cabrières d'Av. 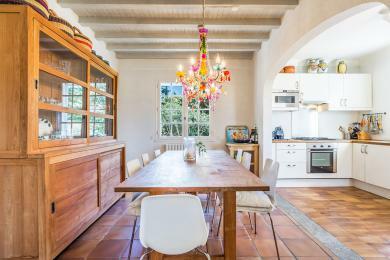 Spacious Provencal family villa with private pool located in Cabrières d' Avignon in the Vaucluse. Very suitable for two families. There are several terraces that offer a beautiful view of the Luberon Mountains and the Alpilles. The villa is within walking distance of an authentic village with a bakery, butcher and grocery store. This villa sleeps 12.